Anyone who lives in the City of the Angels come to know the area that is Hollywood. The district has always been a Mecca for people who dream about movies. It attracts tourists and people from all walks of life. The affluent and the desperate in equal measure, seemingly, and everything in-between. 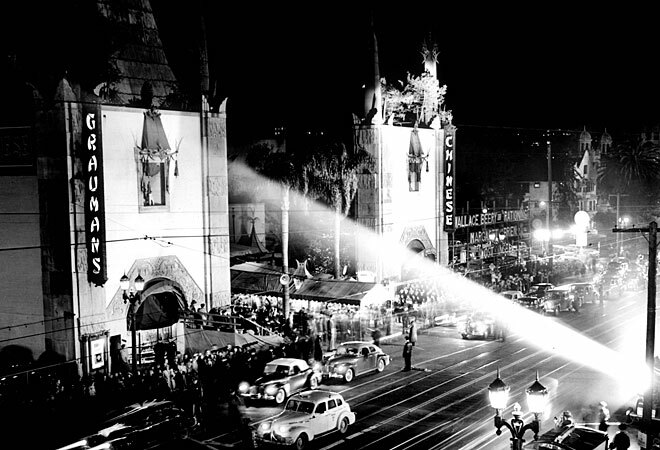 And if you are aware of Hollywood, then you know what anchors the west end of the stretch known as The Boulevard. The iconic Chinese Theatre. For about a year now, movie patrons and long-time admirers of this palace, here and abroad, have fretted. Why? Because the former proprietor had done little for this cinema in the last few years, and the new landlord, China’s biggest electronics manufacturers, TCL, was going to make this their flagship venue by renovating the venerable main auditorium as an IMAX theater. The cries arose sharply, that’s for sure. Changing the rake of the theater, situating new seating, and installing the largest IMAX screen found anywhere made it no mean feat. And, they had to make sure it maintained and restored all of the significant design aspects that made Sid Grauman’s vision for “…a “palace type theatre” of Chinese design” the treasure it has remained over the decades for movie-goers the world over. Did they pull it off? Two big thumbs up, I’d say, as my family would agree. This was one of those events I wasn’t going to miss. I pre-bought the tickets shortly after online sales became available months ago. Plus, I purchased them before asking any of my brood if they’d like to go. In my mind, they had no choice. If that wasn’t enough, it was announced the opening film was…wait for it… The Wizard of Oz. Not the film you would imagine they would showcase on an IMAX screen. And in 3-D for chrissakes!!! Yep, even more concern to be had. We all would arrive a tad early on Saturday afternoon to judge it all for ourselves. If you’ve not walked onto the Hollywood Walk of Fame, on a weekend, not a lot can prepare you for it. The sights, the people, and the atmosphere is one to be ‘experienced’. One has to get over their fear of crowds rapidly to cope. Quickly gathering our tickets from Will Call, we made our way onto the famed forecourt. The theater’s most distinctive feature, outside of its distinct Chinese exterior motif, are the concrete blocks set in the courtyard. None of the signatures, footprints, and handprints of many of the most popular motion picture personalities, from the 1920s to the present day, were disturbed. Still, none of those features was what we were concerned about anyway. TCL was even offering guided tours inside the theater to view the famous venue and all their renovation work. That’s confidence, I tell you, and all in-between movie screenings. They began to let in the 4:30 PM ticket holders at four sharp. That’s when all that worry began to diminish, and rather at full-tilt once we walked down to our seats (row N, if anyone wants to know). This certainly was the same place I’d visited often beginning in the 60s, but, whoa, it wasn’t exactly the same. I and my family couldn’t take our eyes off our surroundings. Believe me, the pictures I shot don’t really do it justice. This movie palace, one that had filled my eyes and ears over the decades (where, oh where did my youth go! ), had exceeded all of my memories of screenings past by the creation of a new one. I say this without regret, the old girl never looked so good. I know I wasn’t the only one dazzled in that packed house. “Most of us encounter the film, one way or another, on television, replete with commercials, interruptions, and everything else. I know I did. The Yuletide tradition. But then, there is encountering the film the way it was originally designed to be seen: in a theatrical setting, probably on a screen about 18 feet (or less) tall. And now, at the Chinese anyway, you have the film playing on a screen 46 feet tall and 61 feet wide, watching it from what you might consider to be a theatre balcony with no orchestra floor and shoved closer and lower to the screen: you are right there in the middle of it. Certainly, audiences and Variety agreed, care of the excitement and reactions this theater and movie have generated. All I know is that I’m going to be coming back for whatever The Chinese Theatre has in store for me in the near future. I know for a fact, the new friends I met at last Spring’s TCM Film Festival will have a tremendous treat in store for them when we gather once again to worship at this cinema cathedral come the 2014 version. Especially, for those who visited the iconic theater before this. I was just too tired this weekend to make it down to the Chinese although it had been my plan when I first saw the Wizard of Oz announcement. Now I am kicking myself for not doing it. Our experience was great but nothing like it would have been seeing this grand old theater renewed with a classic. Oh well, next time. It was glorious, Richard. I’m sure you’ll get a chance for something there soon. They promo’d the second Hobbit trailer pre-show, and now I really want to catch that here. The dragon’s growl near the end of the trailer you could feel deep in your chest! The new audio system sounds fantastic. For sure, you must go The Chinese Theatre now, my friend. WONDERFUL, Michael! Cannot wait to share that goegeousness with all of you guys! You’ll be in for a treat for sure, Aurora :-). Thank you! I heard that “Gravity” was going to be playing there…hell, maybe I’ll bite the bullet and see both? Yeah, there’s sticker shock for sure right now. But, this theater is one of the few that’s worth it, I think. Can’t wait for ‘Gravity’ as Alfonso Cuarón is one of my favorite filmmakers. It’s going to look and sound awesome right here. The second Hobbit film, too. Thank you very much, Scott :-). Had the day off, so I took the subway to Hollywood & Highland and walked towards the theater–with the intent of catching the 10:30am “bargain” matinee. They had the sidewalk blocked off on either side of the forecourt. I asked a security guy what was going on, and he said that Sandra Bullock was getting “footprinted” at 11:00am. He told me to wait there while he found someone to ask. He returned with a gentleman in a black suit–who turned out to be the theater manager. I wasn’t angry–but he could tell I was disappointed. He told me to wait while he went and spoke to another someone. It was only 9:45am at that point–so I knew I’d have some serious time to kill–but I told him I was very grateful, and would love to take him up on his offer… He was very apologetic, and quite gracious about it. I returned, as suggested, at 1:00pm. The theater, as others have pointed out already, is quite beautiful–post-modification. My first reaction, though, was that it felt smaller than I had remembered. I decided that it was a kind of optical illusion, as the front 10 rows kind of angle down more severely than the other rows. The screen extends literally all the way to the floor — which made me a little nervous–very easy for little (or malicious) hands to touch it. I first sat at the front of the back section (if that makes any sense), but noticed that the tops of the handrails down the stairs to the front section were covering the bottom of the screen very slightly. I moved back a few rows for absolutely unobstructed viewing. So quite a LONG day (left the house around 9:00am–and didn’t get home till 4:00pm) but well worth it. Quite a morning, Scott! So glad you got there, though. I know the scene you speak of, my friend. I had similar thought about how the 3D effect worked beautifully there. There were others, as well, where a sense of depth enhanced the film. I know that the tornado sequence across that big IMAX literally blew me away (please excuse the pun). I, too, can still look at The Wizard of Oz in 2D without issue, and this screening didn’t break that memory. If you’ve gone to other IMAX theaters, you know they load up that countdown reel with its b&w standard picture then exploding into IMAX-sized glory. Did you happen to notice they changed one small aspect for this screening? The standard picture portion was tinted to match The Wizard of Oz’s early monochrome sepia tones for the Kansas sequences. Wonderful touch really. Many thanks for following up with your experience today, Scott. Ah, the tornado! Yes, brilliant! I remember thinking at several points during the film how convincing many of the special effects were. Yeah, I saw that. Heck, if someone is going to upset your plans, it might as well be Sandra Bullock. Remember, she and Keanu came flying up and out of the Hollywood/Highland Metro station nearby a few years ago ;-). I couldn’t be there but this is the next best thing. Thanks Michael! So glad that the remodeling turned out well. I cannot wait to go back. Can’t wait to see what the TCM Film Fest will have in store for us at this prime location in 2014. It should be awesome. Thanks, Paula. Awesome post, Mike! Cool pics and that stop-motion video is so awesome 🙂 The theatre looks stunning. I bet it was a fantastic experience. You should definitely make time to come check it out, Fernando. You won’t regret it. Thank you very much for the kind words, my friend. I will! Need to revisit Hollywood and a stop at the Chinese will be in my plans. Please let me know when you’re planning on this and perhaps we can meet up, Fernando :-). That’d be awesome. Will do! I sincerely hope you’ll get the chance soon, or at least for the TCM Film Fest in 2014. Thank you very much, Iba. Awesome post and a great video to include. I really enjoyed it. The Chinese Theatre is so worth it, Rachel. I hope you make the trip for this someday. Thanks! I don’t know about watching the Wizard in IMAX 3D (come to think of it, I haven’t seen anything in IMAX yet), but I’m glad to hear that the renovations kept the feel of the old theatre the same. Classic things should remain classic. Oh, yes. Admittedly, I didn’t go just to see the Wizard in IMAX 3D. It was this venerable theater and hope they’d not messed with a treasure. That said, I was surprised how delighted I was with the converted classic. Many thanks, Morgan :-).